Although Marco Zumbé’s work appears to be abstract, it is often guided by narrative underpinnings influenced by his study of illustration at the Hamburg University of Applied Sciences. Working across painting, installation and public intervention, Zumbé’s practice is expressed through a manipulation of space composed through layers of material and simultaneous perspectives. His signature painting integrates commercial displays, adhesive film and building accent materials to provoke alternating tensions between material and surface, object and abstraction, space and its imitation. 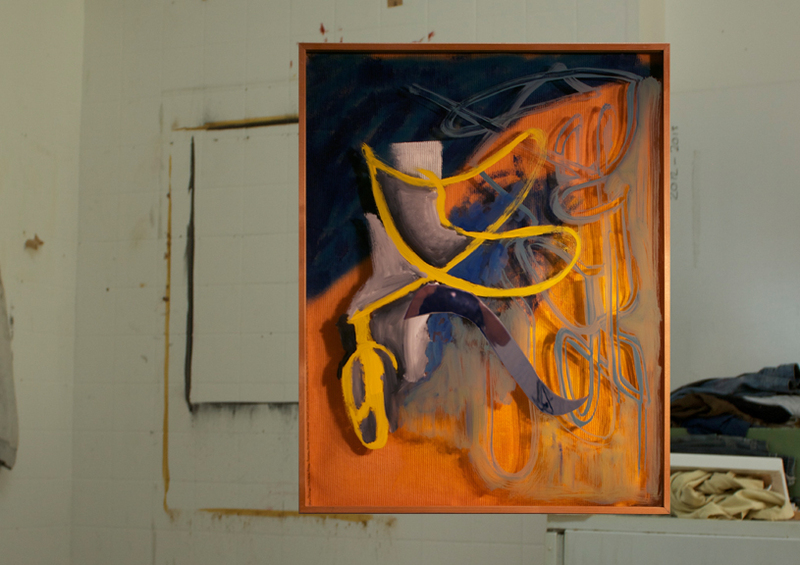 Through this process, the two-dimensionality of his paintings approach three-dimensional space; a space to which the viewer is challenged to adapt. Zumbé lives and works in Cologne, Germany.